How lucky are we to have Our Brilliant Brides on the blog today! 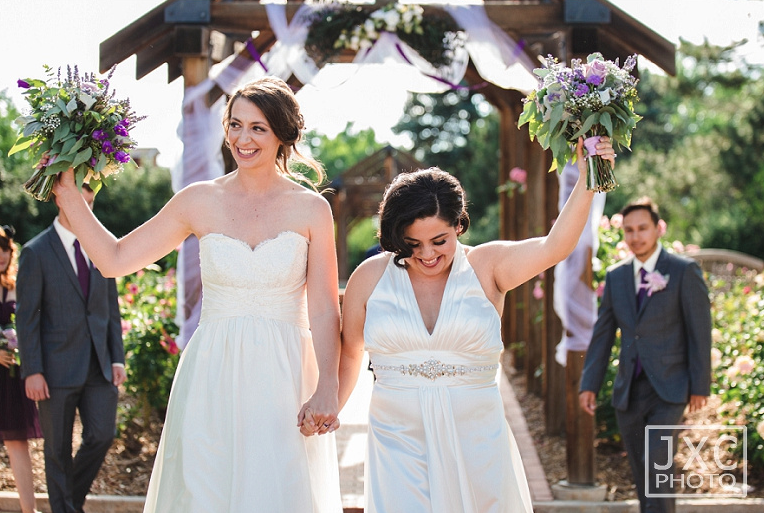 And while Denver is quickly approaching that first day of winter, these two were married on a sunny and warm summer afternoon in June at the beautiful Hudson Gardens. With lush greenery, blooming flowers and pops of bright colors everywhere, these pictures are sure to help cure any cold weather blues! 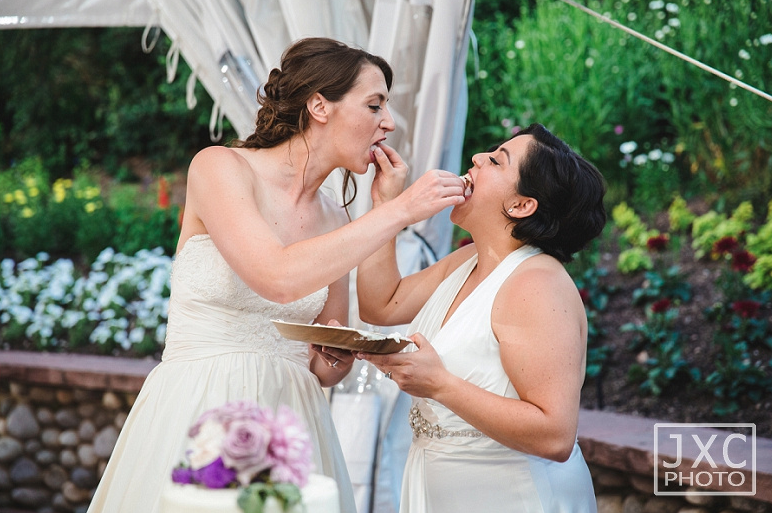 Shawn + Myra both found their gowns at Brilliant Bridal Denver, and it was such a pleasure helping these ladies find the gown that was right for them personal but would also complement each other's gowns as well. 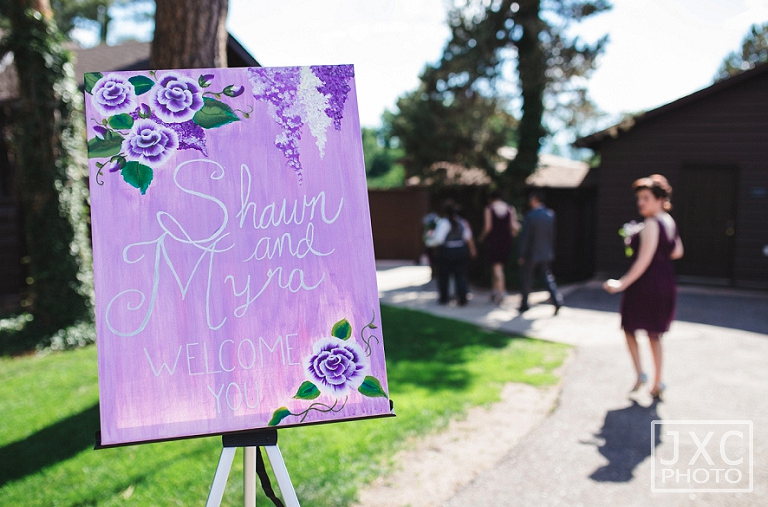 Congrats to Shawn + Myra! We wish you many years of happiness together! And thank you to JXC Photography for sharing these images with us today!